A fragment of the Al corner in the ternary Al–Ge–Mg phase diagram has been constructed. Experimental methods have shown that the tie-line of the L ⇆ α-Al + Mg2Ge three-phase eutectic equilibrium (corresponding to the maximum temperature of eutectic transformation) does not match the stoichiometric Al–Mg2Ge section in the ternary Al–Ge–Mg phase diagram and is shifted toward its magnesium-rich side. The temperature–composition parameters of the univariant L ⇆ α-Al + Mg2Ge eutectic transformation and the boundaries of two-phase α-Al + Mg2Ge alloys after crystallization and annealing have been determined. The results will be used in the development of new aluminum casting alloys. 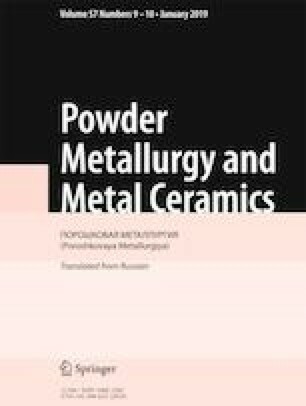 Translated from Poroshkova Metallurgiya, Vol. 57, Nos. 11–12 (524), pp. 116–124, 2018.